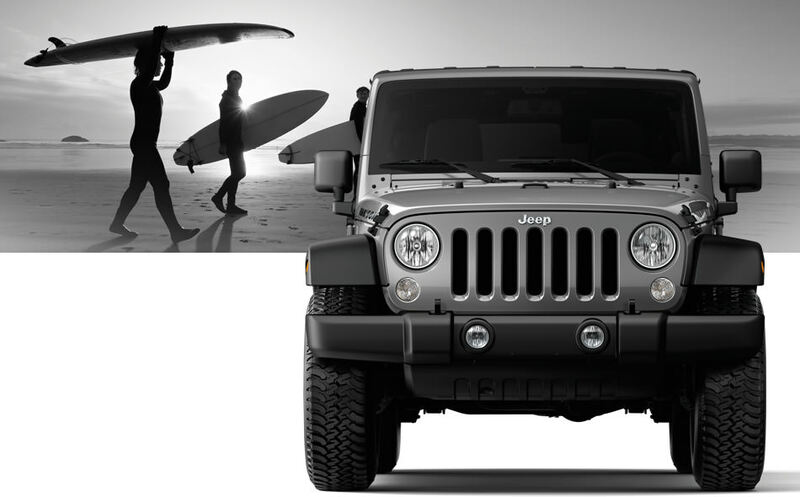 Take Your New Jeep Wrangler Unlimited Surfing! Your Jeep Wrangler Unlimited is capable of so much! Maybe it’s the simple task of getting you to work and back for the day. 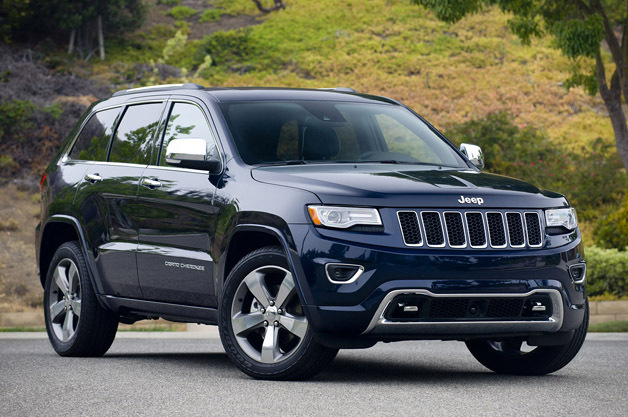 It could be to pick your children up in the snow, because that 4X4 system is like no other! 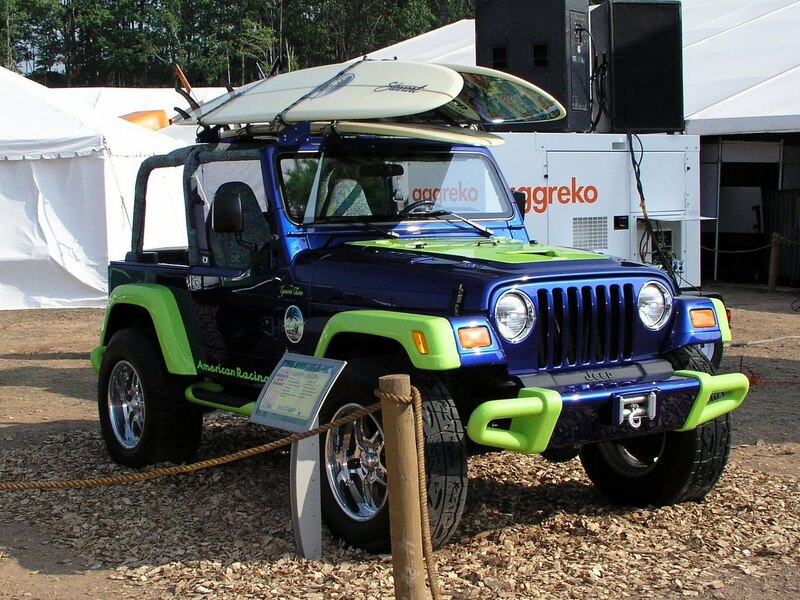 If you are like me, you love to surf and your Jeep Wrangler can handle that responsibility too! Just equip it with a roof rack able to hold your boards and get on your way! 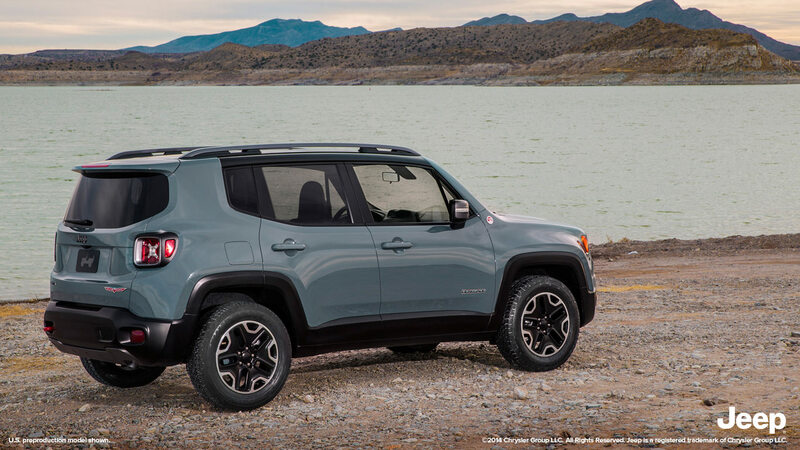 The 4X4 system, Rock-Trac 4WD, helps deliver more control and more torque at the wheels to help you go virtually anywhere you point your vehicle. So, you will be able to get to the best surf spots with no hassle! Plus, the Alpine sound system will pump up your mood and get your body ready! Get off the couch, stop living a boring life and get out today! See ya in the water! Get Some Personal Decal For The Hood of Your Jeep! 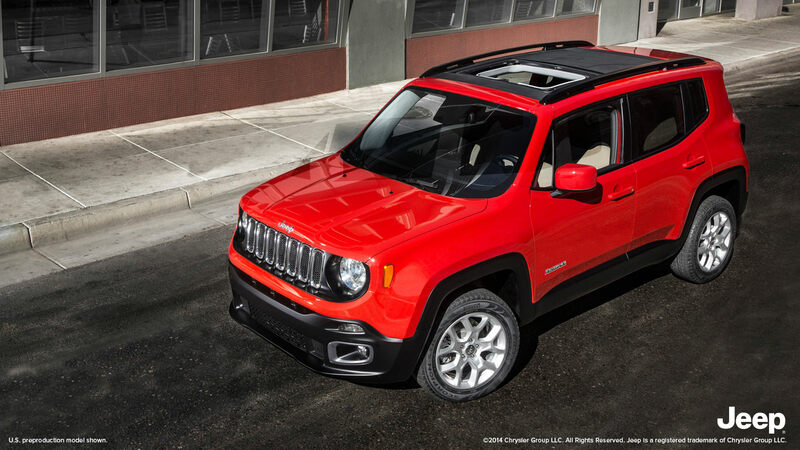 Thanks to the Jeep Design Office, you can customize the hood of your Jeep Wrangler, Cherokee or Grand Cherokee! 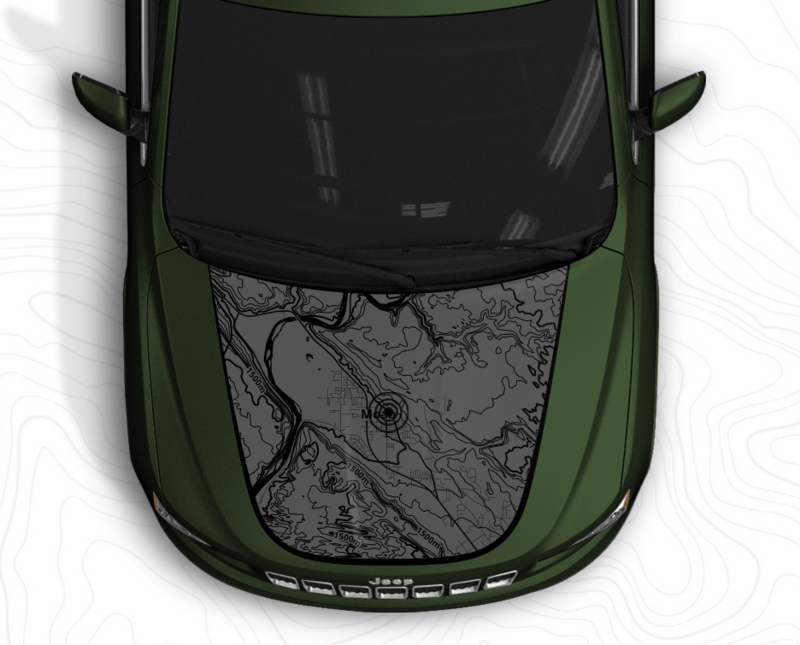 Through Mopar you can order a hood decal of an off-road track your Jeep as taken or upload a personal map that you used! So for the price of $295.00 plus installation at your local dealership, you can have a Jeep all your own! Check it out today! 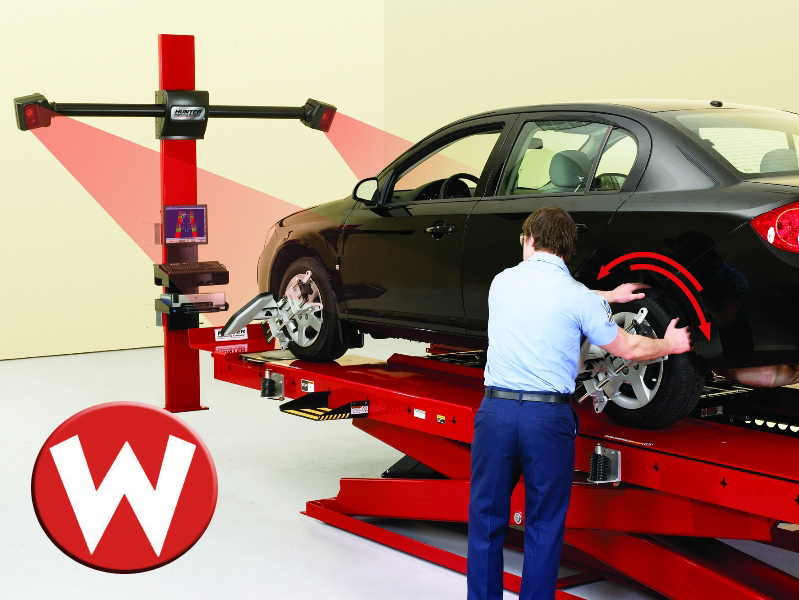 Here is the ordering process for Mopar and then come down to Woody’s Automotive Group and get it installed! Camping in the Jeep Wrangler Unlimited! Hey all you outdoors and camping enthusiasts! I have the perfect camping SUV for you! The Jeep Wrangler Unlimited really is unlimited! 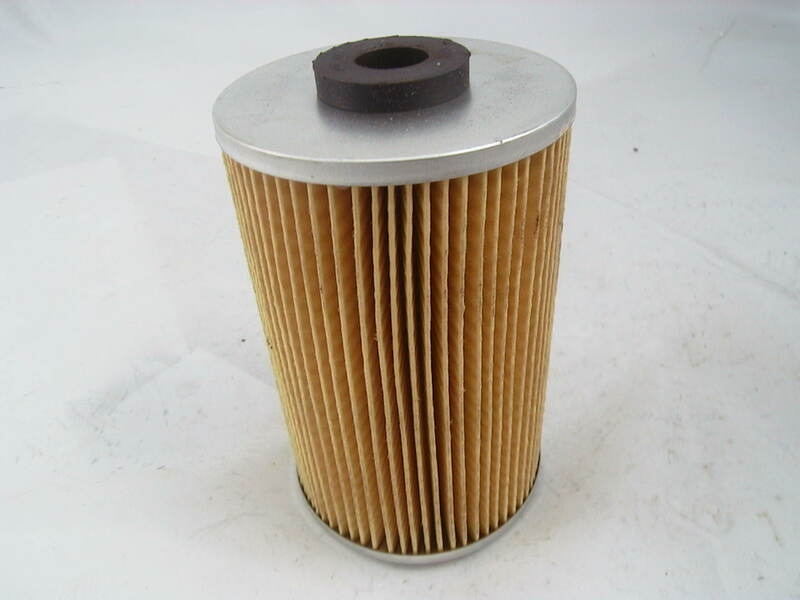 It is perfect for all you needs. The 4X4 system will get you to your camp site. 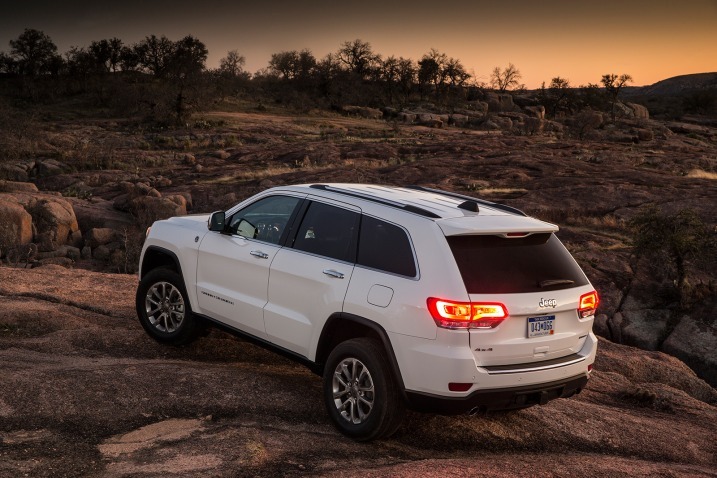 The towing ability will carry anything you may need! The really fun though is the tent! There as so many options for tents. My favorite though is this Ursa Minor tent! 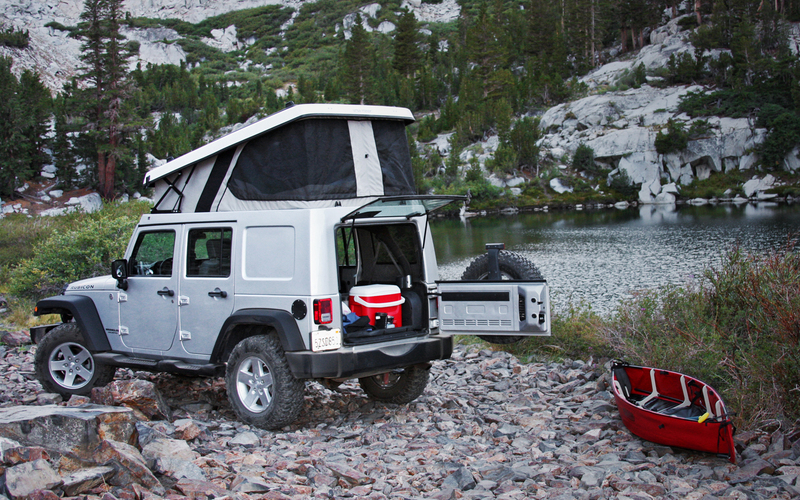 This nifty pop-up tent is installed on the hardtop of your Jeep Wrangler!! I mean for me this would be perfect! I love camping, the outdoors and all the it includes! It may look small but there is plenty of space for you and another! Even if you are 6 foot tall! Check it out! This could be exactly what you need for your next camping trip! !